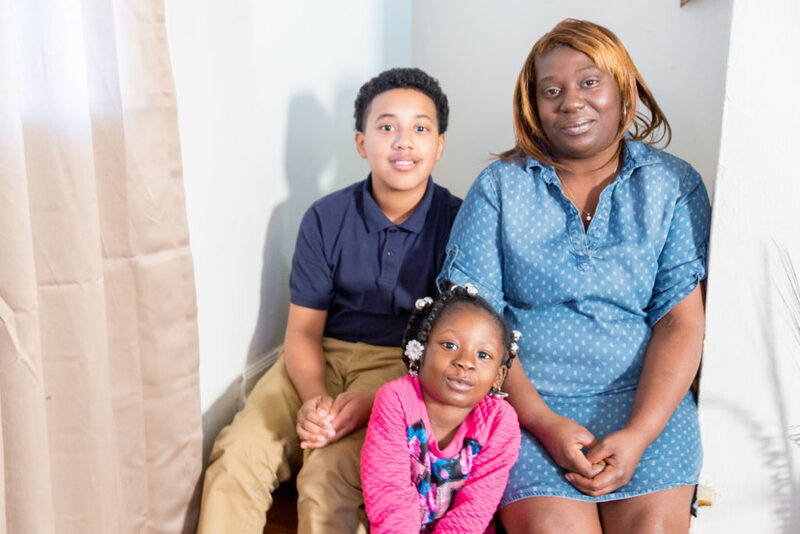 A place to call home is all Michaela Bustamante wanted for her two children, and she was determined not to let anything get in her way…not an abusive relationship, not the lack of a job, or twice living homeless. That’s when she heard about a program at her local Salvation Army. The Salvation Army provides solid ground for those looking for more out of life. Each year, The Salvation Army in the Alabama, Louisiana, Mississippi Division is working to end homelessness and poverty and break the cycle that affects generation after generation. Not only did we provide over 350 thousand nights of shelter last year, but also, assistance to pay power bills, job training and counseling sessions as well as transportation to work and job interviews. But the main thing we offer through these programs is something many who walk in The Salvation Army don’t know they need. Michaela has seen it in her children since moving in her new home. Thirteen year old Adrian, can see the benefits in his mother too. “She can sit down and help me with my homework and doesn’t have to be worried about everything else,” said Adrian. Michaela earned her Certified Nursing Assistant’s degree while going through the program as well. She cherishes those who helped her along the way, her children running in after school, and most of all their own place to call home.